The Red Sox Tuesday designated catcher Blake Swihart for assignment, adding catcher Sandy Léon and right-handed pitcher Erasmo Ramirez to the active roster. There's a chance Swihart clears waivers and gets sent to the minors, but those chances are remote. 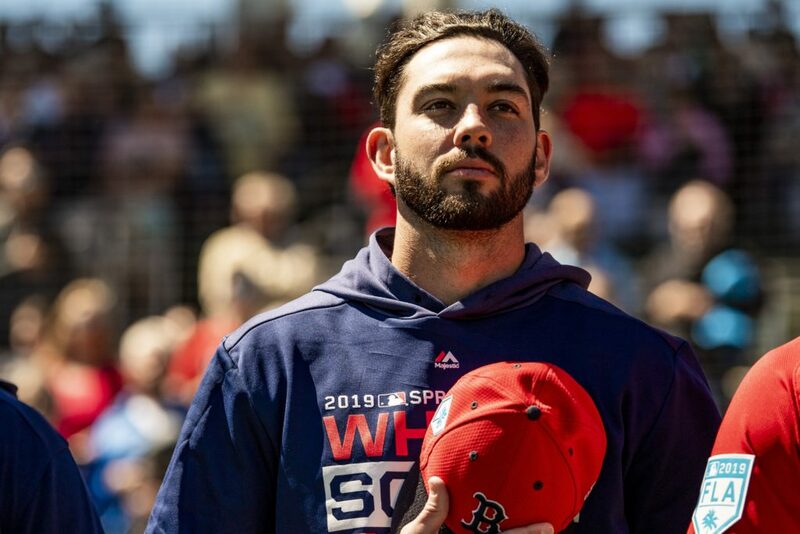 The second was in April 2016, a year after Swihart had held his own as a big-league rookie, when the Red Sox moved him to left field, then watched helplessly as he slammed into a wall and severely injured his ankle. He spent seven games there before the Red Sox, who enter play Tuesday with a 6-11 record, made a decision to shake things up behind the plate. This time, there's no going back. Fair or not, the main criticism of Swihart centers around his ability to play catcher at a high level and manage a pitching staff. Boston's pitchers have been largely awful this season, a major factor in the defending World Series champions disappointing 6-11 start. Leon likely will catch Chris Sale in the first game of the two-game set in the Bronx. The fact that Boston called up Leon isn't a surprise. Swihart has played in 203 games during his Major League career, batting just.255.